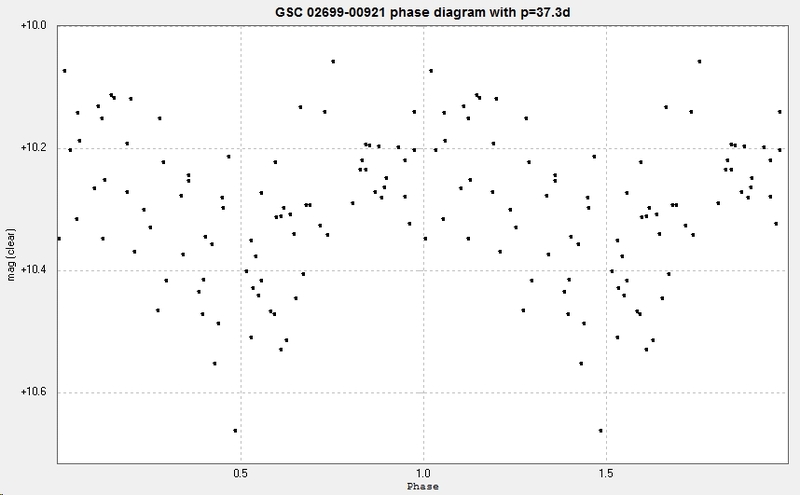 My fourteenth discovery, GSC 02699-00921, is an SR type variable in Cygnus. Confirmed on 2016 January 18. It has an em spectrum, meaning that it has some emission lines. AAVSO VSX data here. ​Light curve from 82 unfiltered images taken with the Bradford Robotic Telescope Cluster Camera between 2012 July 26 and 2014 December 24. 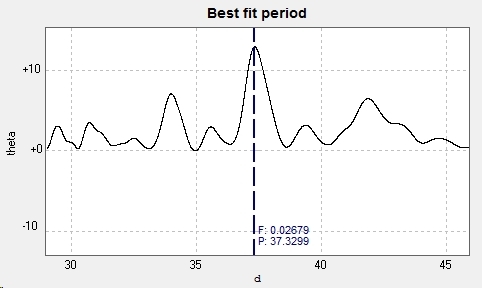 Photometry in AIP4WIN. There is a suggestion that it is getting brighter over time, but more observations will be needed to confirm that this is not an artefact. 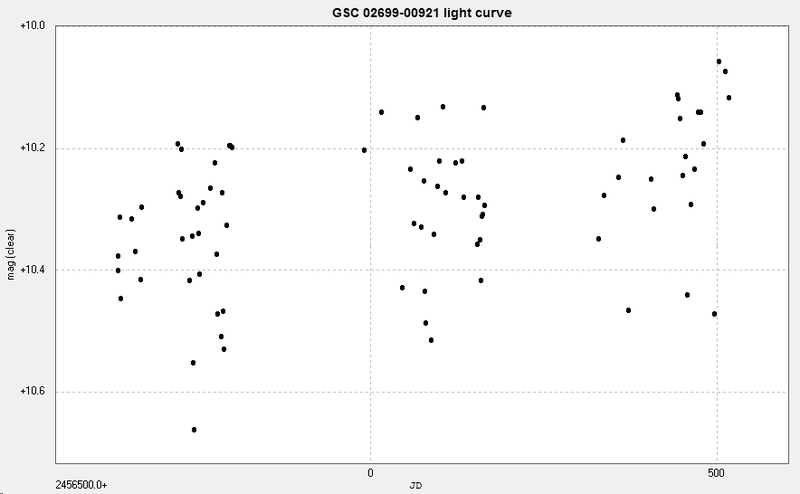 Discovery light curve in MUNIWIN.